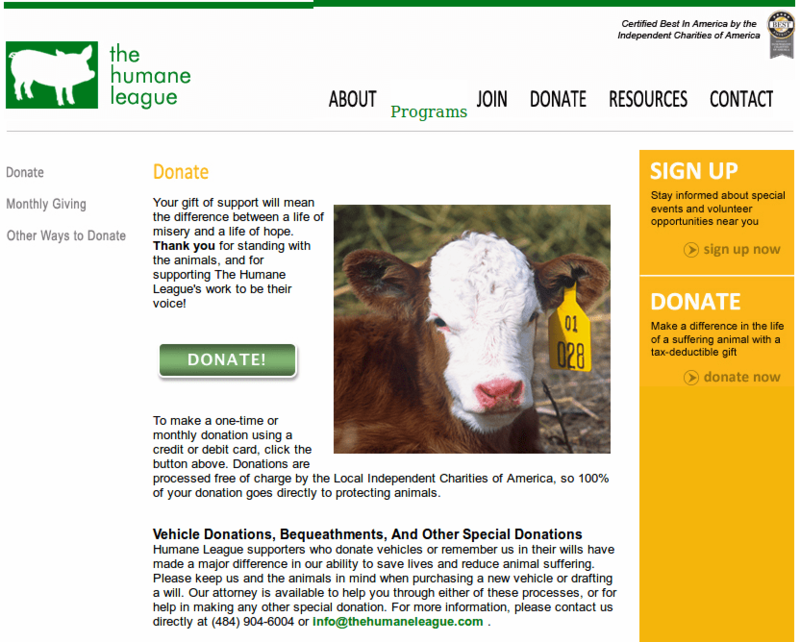 Select organization and complete the process online now. 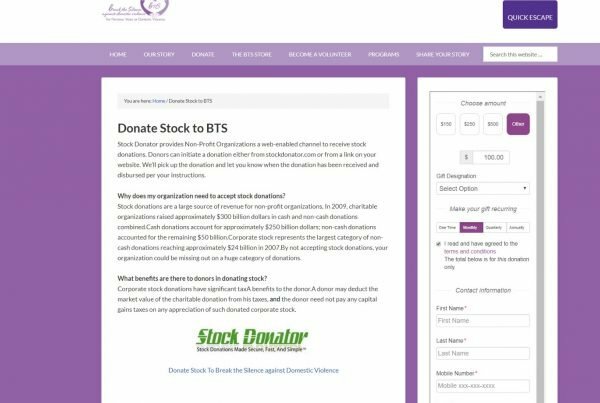 Make A Donation Using Non-Automated Paper Form. 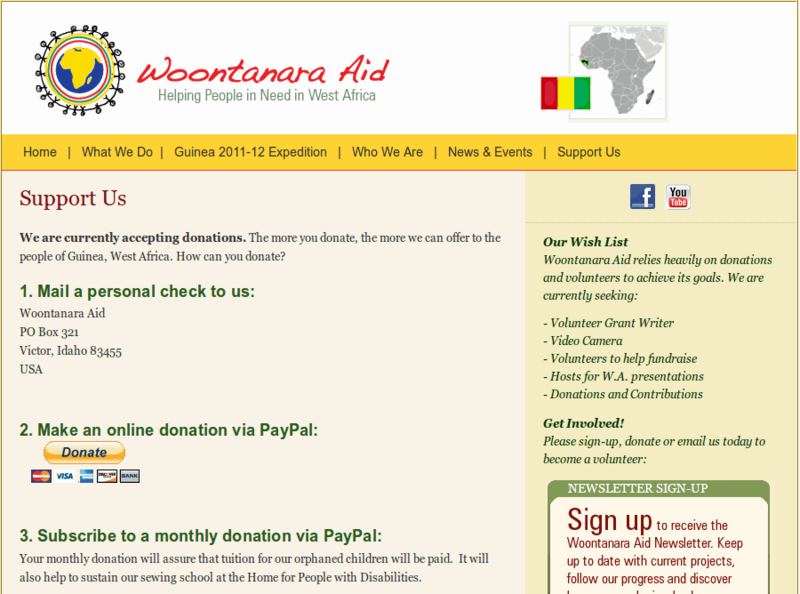 Make a Donation From Non-Profit's Own Website Link. 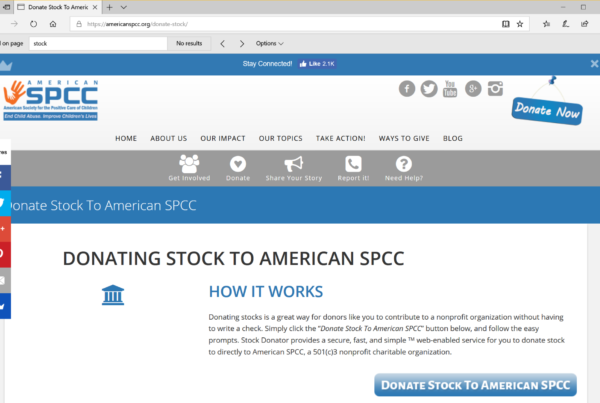 * Requires non-profit to publish a link on their website. 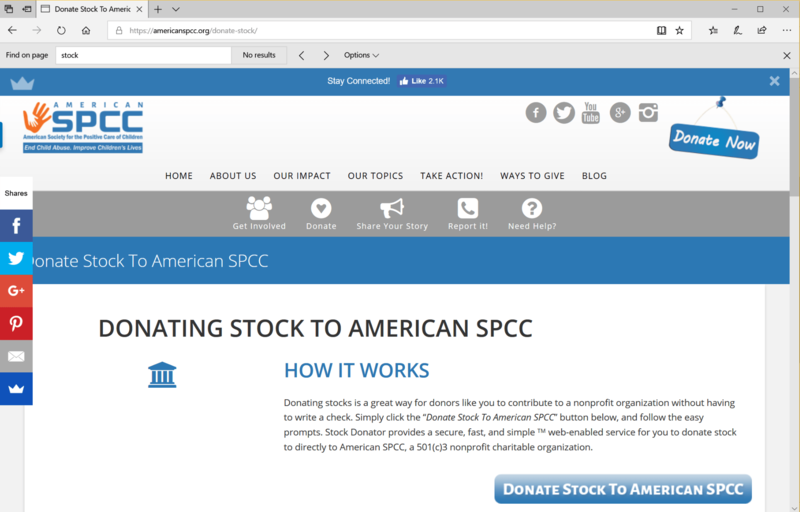 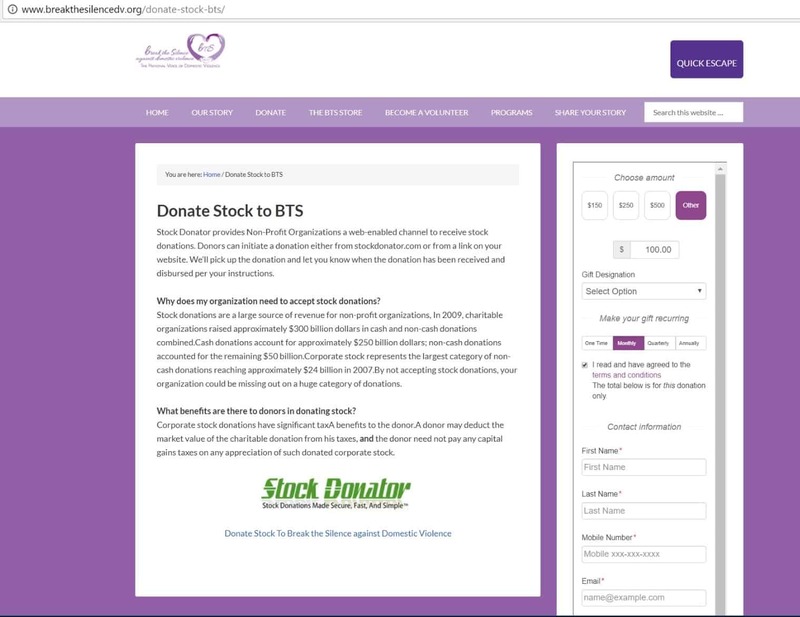 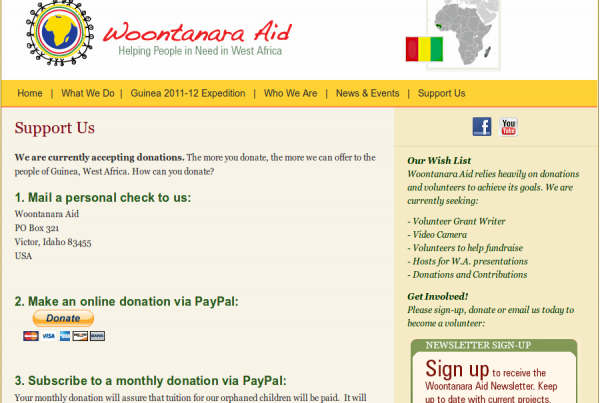 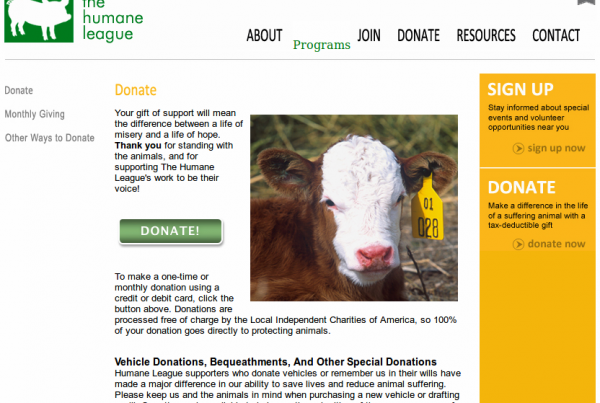 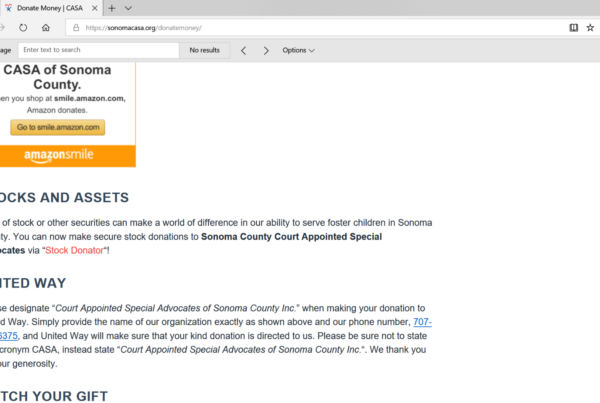 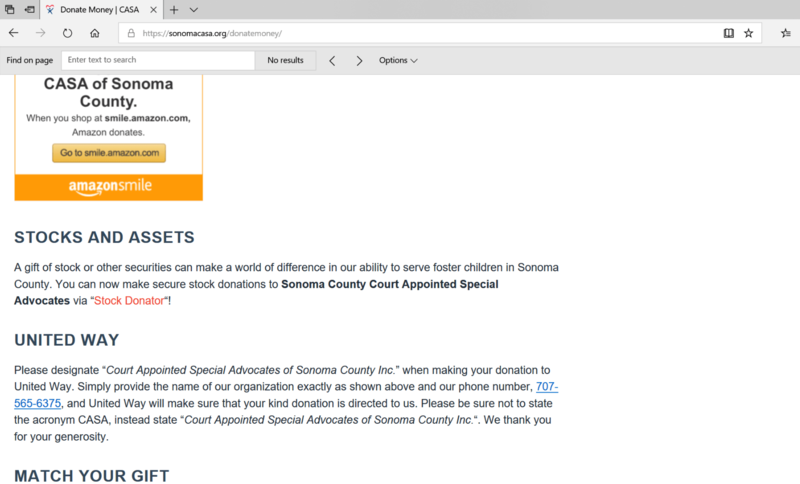 Step by Step instructions on how to add a "Donate Stock" button to your website.